Whether you’re a child, a parent, or just enjoy a chance to dress up and decorate, Halloween can be one of the most fun times of year. However, just like Christmas or Thanksgiving, Halloween isn’t without its mess. Cleaning up the yard and the porch the day after Halloween can be a challenge, and there are waste management concerns to consider, as well. 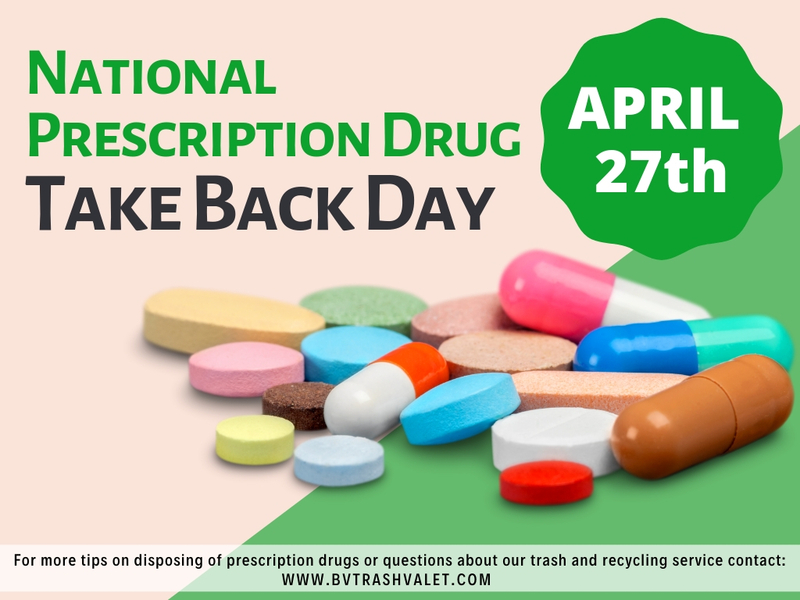 After all, there’s no shortage of candy wrappers and plastic decorations you might not use again. 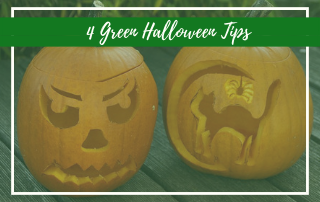 If you’re a conscientious resident and want a way to go greener this Halloween, know that it is possible…as long as you know what to do. Vinyl costumes and masks can be found at almost any store for a relatively cheap price, but they can be problematic for both the environment and the kids. Besides, there’s just something more personal about creating homemade Halloween costumes. If you’re an adult and have a costume event to attend, break out your cosplay skills. However, if you’re not particularly crafty, no-sew Halloween costumes offer an easy alternative. You can also use old clothes and simply repurpose them for a new costume. Plastic pumpkins have become a staple of Halloween. Little trick-or-treaters traipse up and down the street with their pumpkins full of candy…but those plastic pumpkin holders have chemicals that aren’t great for the environment or your little ones. An old plastic bag — assuming you hold on to the plastic bags you’re given — will do the trick, as will the classic trick of an empty pillowcase. Plus, the old pillowcase trick fits much more candy than a little plastic pumpkin. You can buy cheap decorations in stores that you’ll throw away after Halloween, or you can use materials collected throughout the year to create your own decorations. It’s cheaper, and much more eco-friendly. Foam peanuts or styrofoam can be used to shape critters and little monsters, while runny tights can be made into spiderwebs. Cardboard is an amazingly versatile resource. You can create almost any scene or monster using cardboard and the right creative thinking. If you’re hosting a costume party or any other Halloween party, don’t worry about paper invitations or store-bought cards. Insead, send electronic invites. You can email something comically spooky, or even start a Facebook event and invite all your guests with a few clicks. Facebook events are increasingly popular because you can coordinate the party with your guests and post updates for the whole group to see. It’s not just environmentally friendly; it’s the way to host parties in the 21st century. 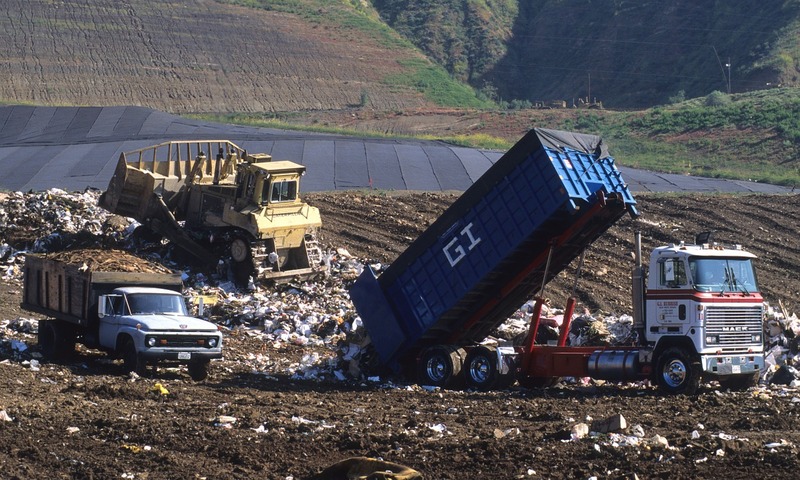 Halloween should be spooky — your waste management shouldn’t. These tips will help you to lessen your waste this Halloween. 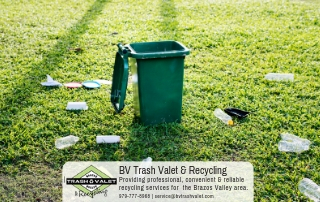 And as always, it never hurts to have the right waste management and recycling company. 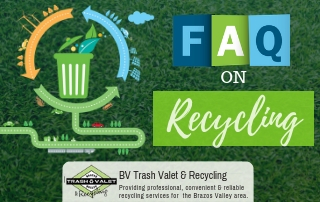 At Brazos Valley Trash Valet & Recycling, we accept plastics #1-7, as well as cardboard. 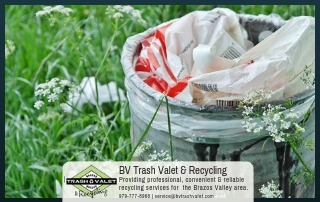 Contact us today for more information or to sign up for your monthly subscription for weekly trash and recycling pick-up.